The never ending fight against racism is something that I would hope future generations would not have to deal with, but if the situations that developed this week are any indication of where we are heading than there are no clear signs that the fight is near its end. 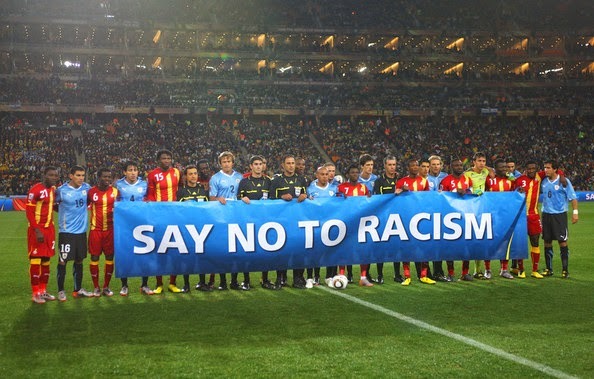 Two separate incidents this week involving clubs from three different countries is a clear image of what the footballing world has to deal with when it comes to stopping racism in football around the world. The only way racism can be removed from the fields is if the governing bodies take a firm stand against and punish the clubs responsible severely. By severely I mean with sanctions that hurt club and supporters and not fines that are easy to pay and quickly dismissed. When you look at the incidents that happened this week, you have two very different approaches, one that I believe will do very little to reduce or remove the problem and one where the consequences were far more severe and far reaching. In the match between Steaua Bucharest and Ludogorets of the Champions League qualification playoff, there were racist chants and words coming from the fans of the Romanian team. UEFA has punished Steaua Bucharest with a Europa League home game to be played in an empty stadium and fined the club with a £40,000 fine. While these sanctions might sound severe to me they are not. They are not an enough deterrent to stop future incidents from happening, and therefore allowing this behavior to continue to spread around football fields. In Brazil, a place known for its multiculturalism there was also an incident of racism during a match, but the punishment dealt to the club was far more impressive and it could act as a strong deterrent for others in the future. 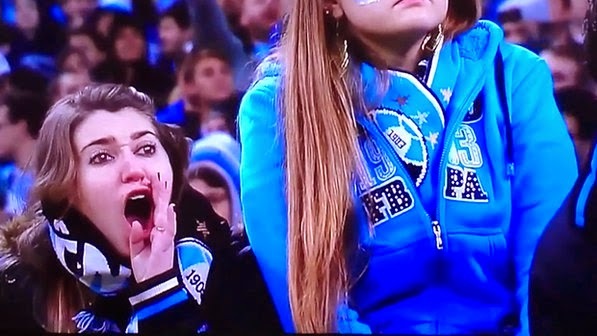 Gremio fans racially abused the Santos keeper during a Brazil Cup match between both clubs. The superior court of sporting justice in Brazil fined Gremio in the amount of £13,500 and disqualified the club from the Brazilian Cup. Adding to that any fans that have been identified as culprits or any future fans that could be found guilty will be ban from any stadium for a period of 720 days. Brazil has handled this situation with swift and strong punishment while UEFA has only scratched the surface and not really provided actions that will stop this from continuing to happen. The people responsible for the game need to understand that it is impossible to eliminate racism or racist people, but they should be able to have measures in place where they can stop it from being present in football fields. Brazil has the correct approach, why couldn’t UEFA ban Steaua Bucharest from the competition? Perhaps if that had happened their fans would think twice before insulting players of fans of opposing teams with racist chants or words. The problem lives in our society, and what we see on the fields is a microcosms of what happens in our cities, schools and places of business, but we have deemed such behavior unacceptable and there are serious consequences to those that don’t conform to the rules and proper behavior. Why is it so hard for football governing bodies to do the same within their place of business?